← President to visit 58th state? Source: WordPress Daily Prompt: Write about something that happened over the weekend as though it’s the top story in your local paper. 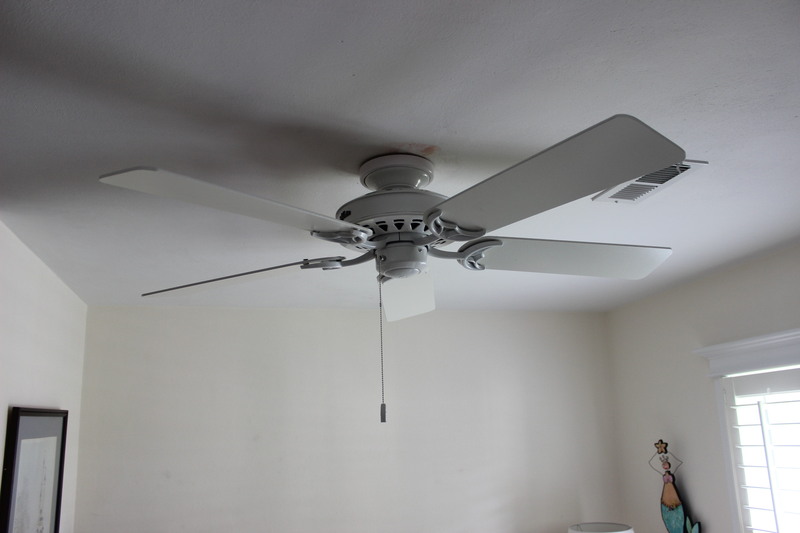 In a startling development this weekend, it was learned that Big Al of WordPress blogging fame, managed to install 4 new ceiling fans in his home. This herculean effort included not just the installation, a noteworthy feat in its own right, but unpacking the fans from their shipping containers, unwrapping all the individual parts and matching them to the parts inventory sheet, and of course, reading and interpreting the directions for actual assembly of those parts. We’re checking with Guinness Book of World Records to see if this qualifies for inclusion, but possibly the most remarkable part of the whole endeavor is the fact that the old fans had to be disassembled and removed as well! An impromptu interview with this reporter was granted by Big Al. As he stood hunched over, knuckles bleeding and adorned by white ceiling dust in his hair, he related the harrowing details of the past weekend. “Well, my wife was totally against this as I’m usually a danger to myself and others when attempting home projects. But the cost for a contractor to do this was so prohibitive that I just couldn’t justify having it done correctly. I almost gave up right at the start when the directions included in the package were practically indecipherable. Fortunately, I was able to proceed after I realized I was reading the Spanish section. This entry was posted in Family and tagged ceiling fans, Do-it-yourself, Guinness Book, Home Depot. Bookmark the permalink. When I was about 3, I got my first Lego kit for Christmas & my dad & I set out to make the blue twin axled milk float. We opened up the instruction sheet and then unpacked up the pieces. We matched up every piece to the sheet, and then it was easy peasy to follow the instructions and make the milk float. Dad and you must be the only 2 men on the planet who read the instructions FIRST!! I don’t exactly have an intuitive mind. Had I done this on my own, the house would probably be screwed into the ground by now. Lol, I like that image… Probably partially clockwise and partially anticlockwise creating one of those wormholes recently sighted in Brighton….. I wonder had the owner recently paid a visit to Ikea? You are a man of remarkable talents. Any man can put up a fan, but few men think of reading the directions. See my reply to Barbara above. Hi Cindy Lou! Glad you decided to not be anonymous this time. Also glad you appreciate my great feat. Henceforth, you can refer to me as Conan the Installer. Congratulations on a herculean job well done! That final photo is really impressive. But is that your blood smeared on the ceiling by the fan housing? Sharp eye, Peg. The amount of blood I’ve given to this domicile could keep the Red Cross blood bank stocked for years. If you ever need any “O Positive” I’ll be fixing a toaster Thursday and I’d be glad to save you a few vials. It must be a hard life to be constantly worried about technicalities like that. That was JUST what I wanted to know. Inquiring minds and all. I think the secret of your triumph is in the last line of this post which got me grinning in the way one does when a recognised fellow handyman finishes off a polished piece of prose. In truth you have every right to be proud. I would settle down for a nice coffee and a short period of gloatmanship before ringing up a decent selection of my friends and inviting them round for coffee or a glass of something restoring so that you can just flick on the fans absent mindedly murmuring, about “just something I put together over the weekend” and then just settle down and bask in the admiration. In fact I’m so inspired I think I might go and have another look at those shelves I got from Ikea, which I thought before I read your post, had been designed for a yet to be launched space station. Yes, I agree ducks. It’s hard to be humble when you’re this good. In truth, I’m thinking of an open house so the whole neighborhood can enjoy my craftsmanship. Good luck with the shelves. Actually, I just read where the only crew member that hasn’t been selected yet for the future manned Mars mission is a carpenter. Are you interested? Didn’t the directions tell you to turn off the power at the breaker box? Oh, right, that was while uninstalling, there were no directions for those. I’m happy to hear you came away from that unscathed, and rumor has it the VP will be contacting you to do a regular column. 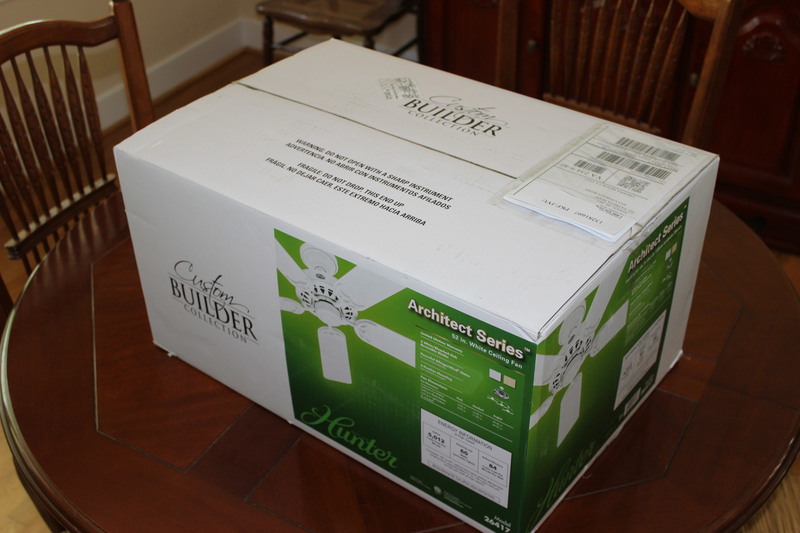 So sorry Al, but John preceded your record-breaking by installing four fans in one weekend, not to enjoy at his own place, but at the home of my son and daughter-in-law. With a crying newborn and wacky 3-year old in range. I am not sure you can top that :-). ARRRGGGHHH! for the parting pun. But cudos for completing the job. But me thinks you cheated. In our house we read directions AFTER the fact. I just thought it might be help by the 4th attempt. You halo espanol. Ojala que puedo ayudarle en el futuro. By the way, I read the paper cover to cover and still missed that story. I’m quite impressed! Actually, I read and speak every language in the world except Greek. Unfortunately, your comment is Greek to me. I just got up from my 2 hour after lunch nap and enjoyed your blog very much! From your number 5 fan. I’m glad to see someone at least has their priorities straight. You were my first follower so you will always be number one! It’s the same when you’re trying to clean the blades of the fans. 1) Don’t spray cleaner on the blades when they’re moving, it stings when that stuff gets in your eyes, 2) it’s far easier on the hands if you shut the fan off first. Yes, the instructions were quite helpful. I was sorry to hear later that the technician who had to dumb them down so a simpleton like me could follow them, is now convalescing in a mental ward. Al, you deserve a leather medal on a wooden chain for all that effort! I know you mean well, Marie, but your comment gave me a frightening flashback……but I’ll be fine after I medicate…. Sorry Al, it was a phrase my granny was fond of using! Not to worry, I’m always looking for an excuse to take those pills. And I never ask him to assemble more than one per weekend. Besides the instructions are all in Chinese (no kidding). I would think a bird cage would be pretty difficult. You know, trying to work while birds are flying all about you. And the birds are lose while we do it, but the instuctions in Chinese are the kicker. Thank goodness they have diagrams. The last one showed a man behind bars. Let me go out on a limb here and take a wild guess, are these cages made in China? How did you guess? I can read Spanish, but no such luck. Chinese characters are Greek to me. You read the instructions? That is headline worthy! 😉 Congratulations on four jobs well done. Now that it’s all done, I bet it felt like a breeze! Yes, I did. But only after taking an online Spanish course.